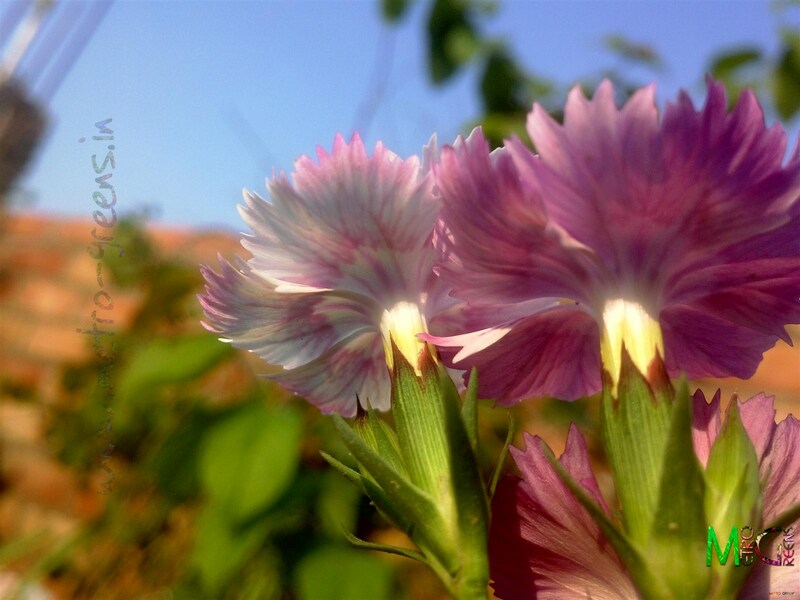 As promised in the last post, here I am with some beautiful shots of some dianthus blooms. The blooms, are just a few to make my other-wise dull garden a bit colourful, for now. This year, there are no portulacas, I really didn't get a chance to provide them space to propagate due to the ongoing work, neither did I get any new plants, since these, so, it's mostly dull, except the rose blooming now and there's the arabian jasmine plants which are blooming as per their annual blooming schedule. For the time being, the Ghazania is missing, no hibiscus blooms too for now, then I couldn't plant the marigold and cosmos plants, so, those two blooms are missing, and unfortunately, the grape vine too, which started off well in the spring, but was negatively impacted due to the work, hasn't shown any sign of any inflorescences as of now. So, I am just left with some odd blooms of these dianthuses, some marigold blooms, the arabian jasmine, and an odd rose bloom, once in a while. 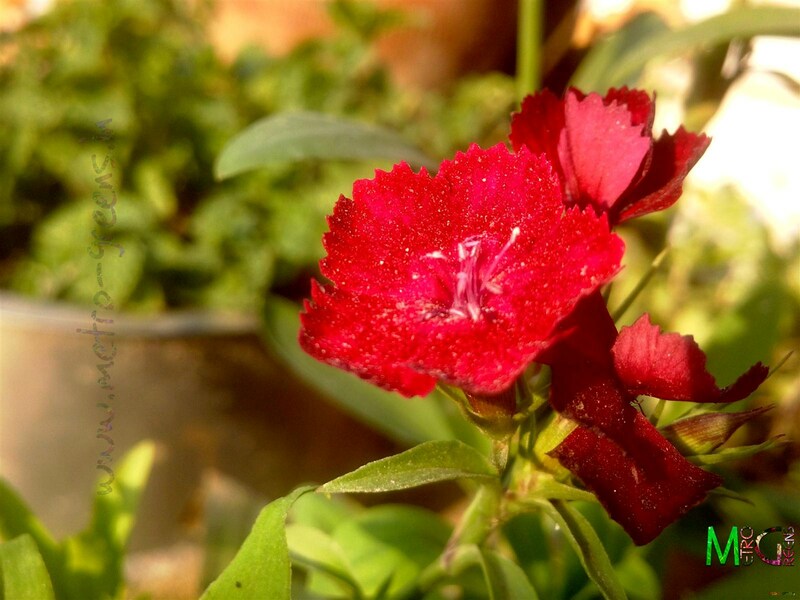 So, I'm sharing the dianthus blooms that I captured a couple of days back. As usual, these shots are being shared as is without any editing whatsoever. Common name: Again varies with the species. 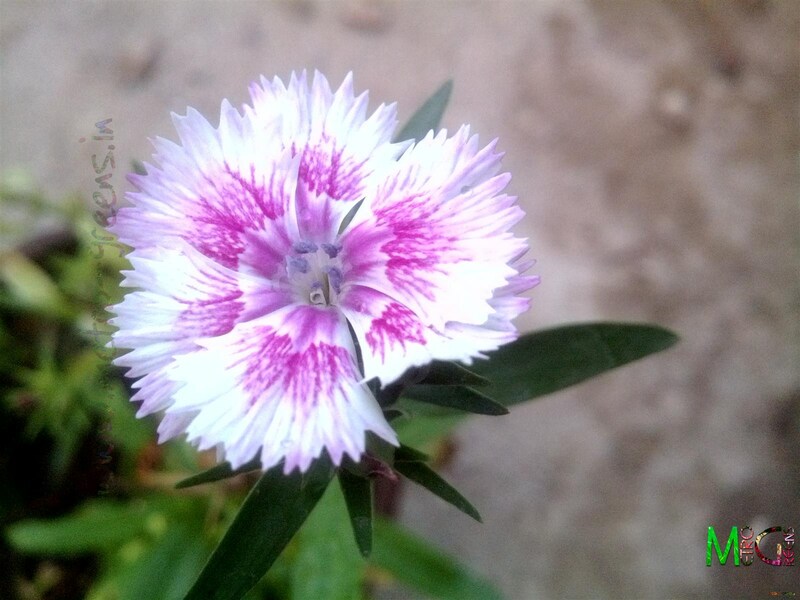 Common names for flowers of this species include carnation, dianthus, pink, sweet williams. 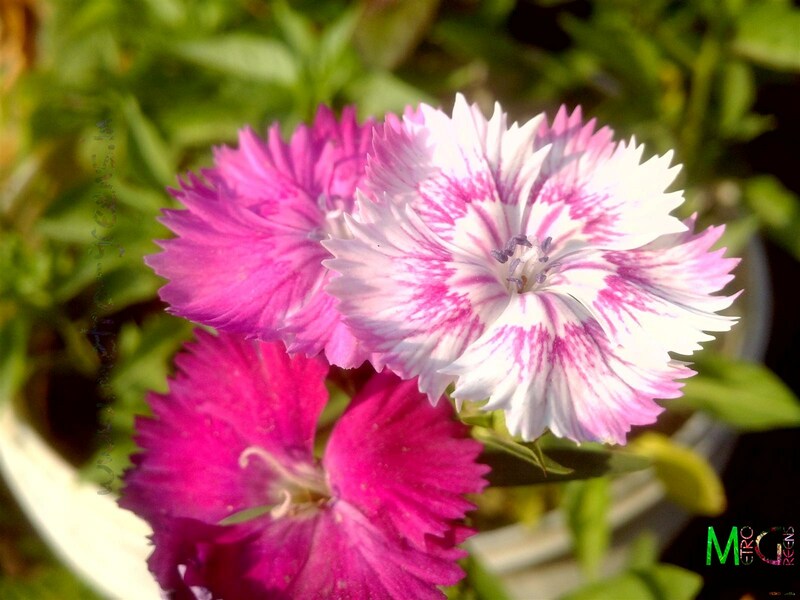 Flower colours: Vary according to colour, mostly in the shades of White to dark red, with pink coloured varieties found mostly. 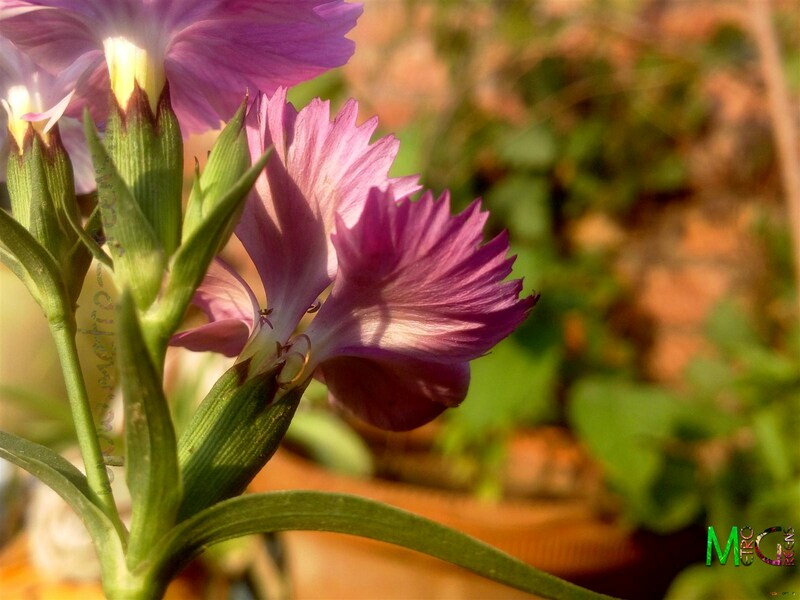 Type of plant: Is Annual, perennial and Biennial, again based on the variety. Usage: Mostly used as a flower for decorative arrangements and bouquets. Typical feature: The flowers petals have jagged edges, which are quite symmetrical, and the flowers change colours too, as they age. I will be back with some new stuff, hopefully in the upcoming post. (Ah, I completely forgot about the lone tomato plant, which is bearing some fruits). I might share that in the upcoming post. 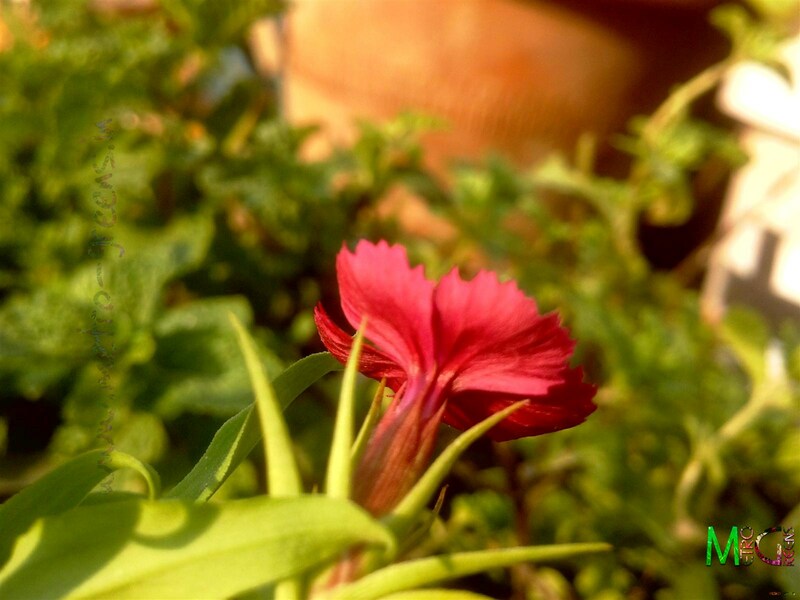 Till then, keep trying and Happy Gardening!